The following links and resources have been provided for your research. Content on each of the sites below is copyright the respective author. Informative website connecting women who are interested in DIEP Flap Breast reconstruction. This website covers many different types of breast reconstruction. A very unique store for women who need mastectomy products and wigs. We love Susan and her staff; they are very detail-oriented and care about your needs. 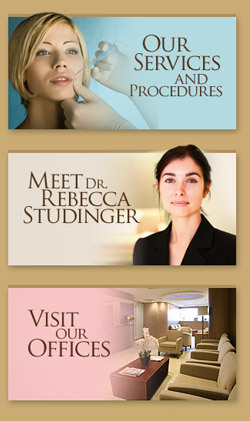 This website was made by our manufacturer for breast implants used in some types of reconstructive surgeries. The website includes information about implant reconstruction along with blogs from other patients and diagrams that may help in your decision making process. It is a great starting point for patients looking for information about implant reconstruction. This website is quite useful in helping patients seek information about breast augmentation procedures. Patients have found this website very informative during their decision making process. Credit Union Advantage offers alternative loans that can be helpful for many needs. Contact the Novi Branch at 248-662-0383. Staybridge Suites is conveniently located within the St. John Providence Park Campus in Novi just across from our office building. These extend-style hotel suites are great for patients who want something that will allow them to come and go with ease and feel at home during their visit with Dr. Studinger. The Marriott Hotel, found on Northwestern Highway, is just a few miles from Providence Hospital in Southfield. This location is in close proximity to the hospital, allowing family members to stay close by their loved ones. Hospital discounts are available to guests who have patients staying at Providence. Contact the hotel directly at: 248-455-2020. This hotel is also conveniently located near Providence Hospital in Southfield and provides discounted rates to guests who are visiting patients. Contact the hotel directly at 248-728-6536.